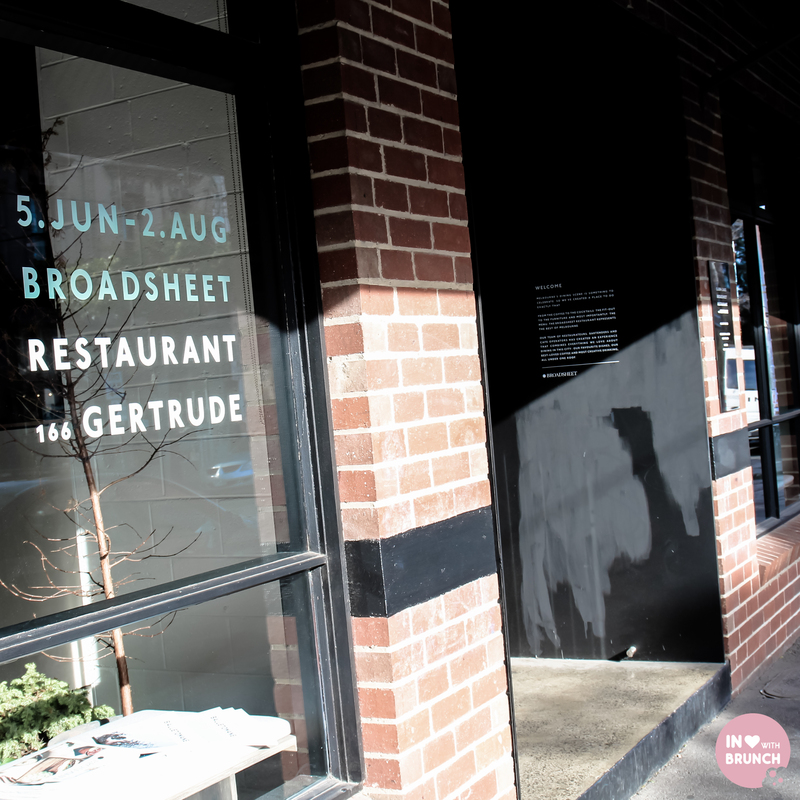 melbournites love a good pop-up event… and broadsheet’s pop-up restaurant on gertrude st has taken it to a whole new level. 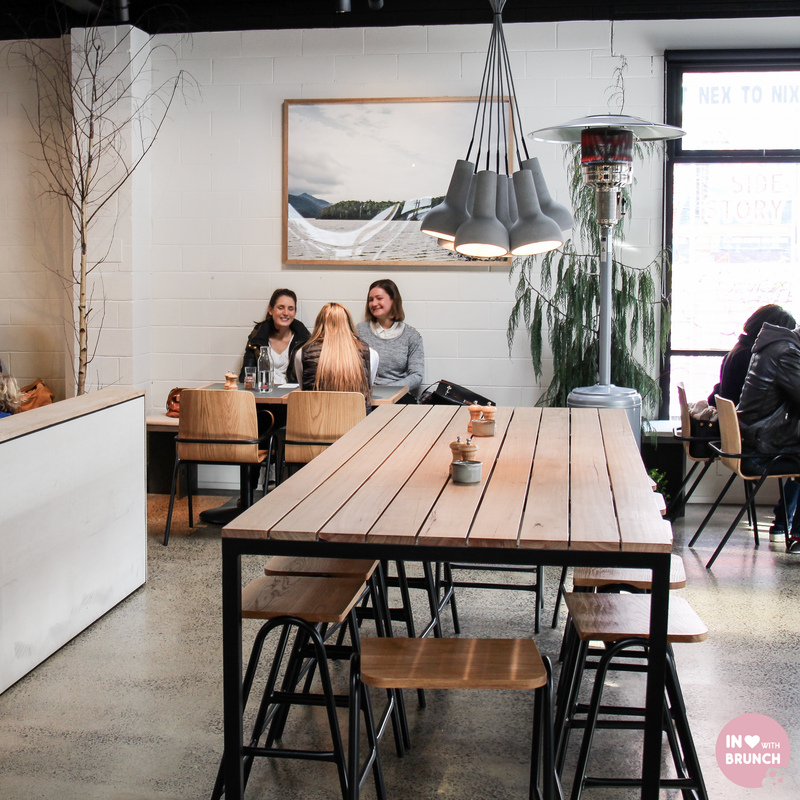 this temporary restaurant brought to you by one of the most recognisable names in food journalism is an inspired concept that brings together some of melbourne’s best and well-known cafes. the restaurant is serving breakfast through to dinner for a short three month period (now only a few more weeks left) from june to august, where you can sample some of the most popular dishes from the menus of top paddock, kettle black, auction rooms, grain store, huxtable and coda… just to name a few. fittingly, a friend and i popped in the other sunday after lining up in the freezing cold for another amazing melbourne pop-up event – the flour market (told ya we loved pop-ups!). broadsheet is serving a selection of locally roasted small batch coffee blends. our flat whites on the day were made using the candyman espresso blend with “sweet, malted milk + macadamia butter” flavours. 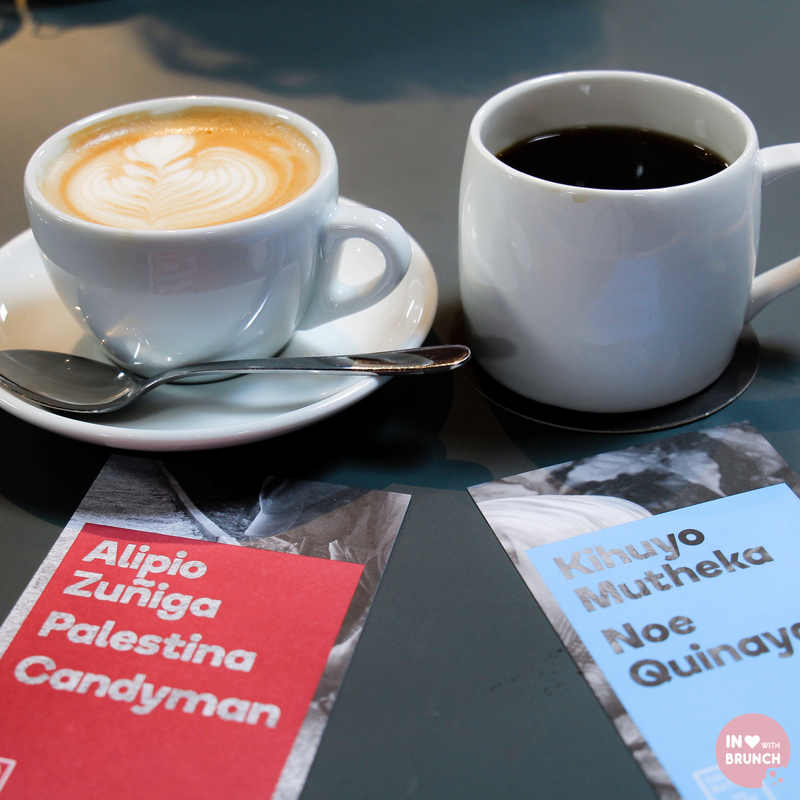 i also went for the noe quinaya filtered coffee – a coffee blend from colombia that has been produced for over 70 years. you’ll be served a coffee card along with your brew, outlining the history and containing a wonderful story behind the blend. 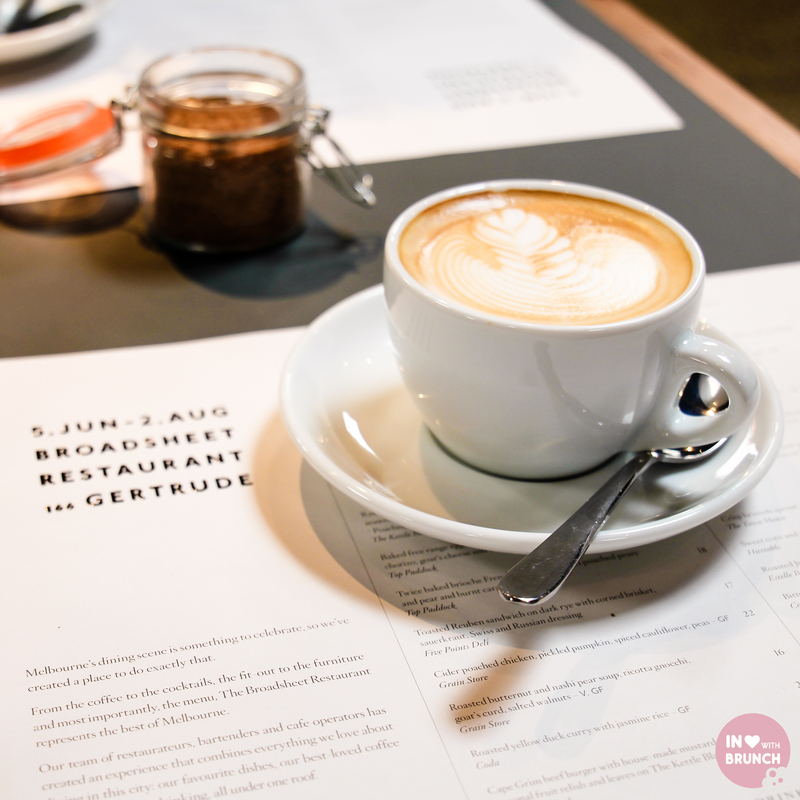 tasting notes of: “spritz-y orange in the opening, with sugared hazelnut and plump ripe fruit giving plenty of complexity and depth.” all round, our coffees were fabulous – just be prepared that they don’t have a decaf option available + only serve full-cream milk. the vibrancy of this dish was stunning – such gorgeous colours. and the flavour matched it perfectly. 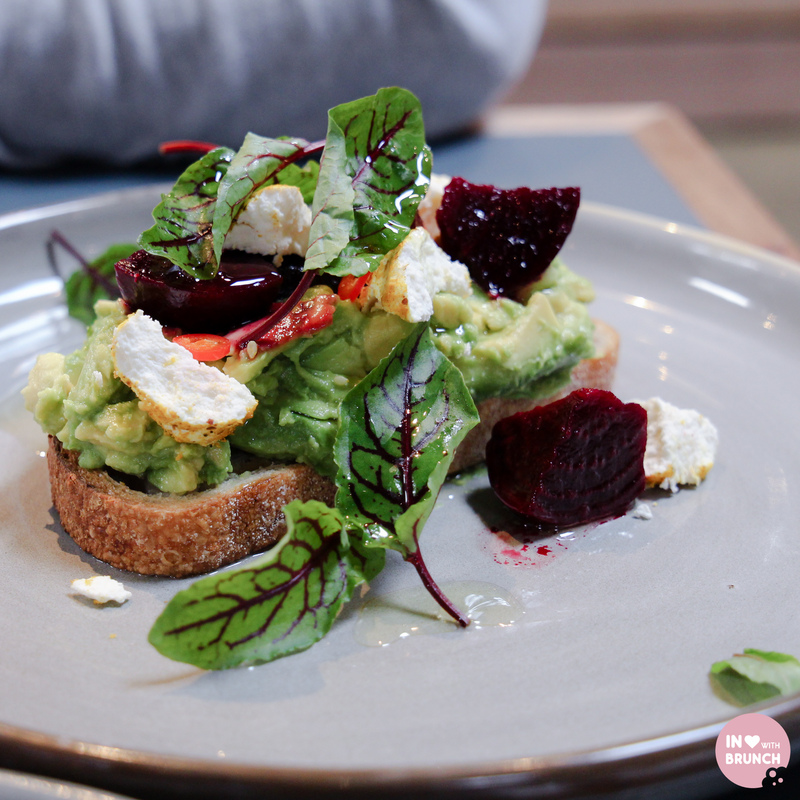 soft creamy smashed avo married perfectly with the roasted beetroot, the crunch of the herbs and the sharpness of the feta. it was a vegetarian’s brunch delight. from a vegetarian delight to… well… the complete opposite! and omg. there was not a single morsel left at the end! 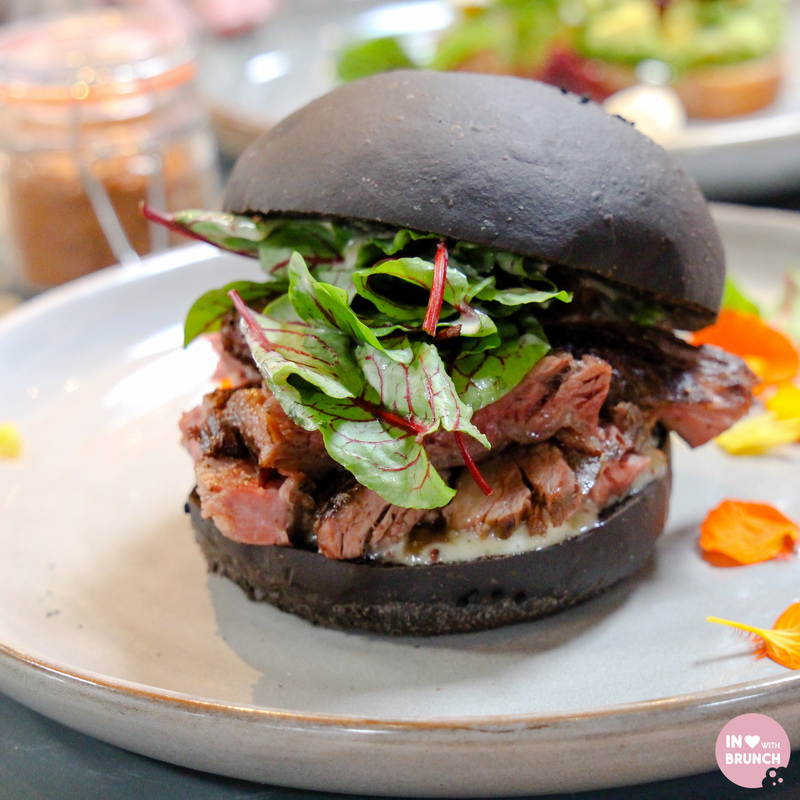 the black colour of the bun is usually achieved by cooking with bamboo charcoal – a natural process which doesn’t affect the flavour or texture of a dish. the only textural difference for me was that the top of the bun was particularly crunchy in comparison to a normal bun – in a good way. the cape grim beef was cooked to tender perfection, it just melted in your mouth. added to these elements were the truly-mouthwatering “sauces”. the mustard was subtle and creamy, paired with a fruity chutney-type relish – both of which just oozed all over the meat and bun… sublime! the interior design is scandi-inspired – plenty of wood, white and grey with industrial touches + plenty of indoor plants. they have really gone to a lot of effort – hard to believe it will all be over soon. expecting to line up outside for hours to grab one of only a few tables, i was pleasantly surprised by the number of tables inside – it is a significantly-sized space with plenty of room for small and large groups. there were plenty of wait-staff on hand that morning, and as such service throughout the morning was friendly + efficient. 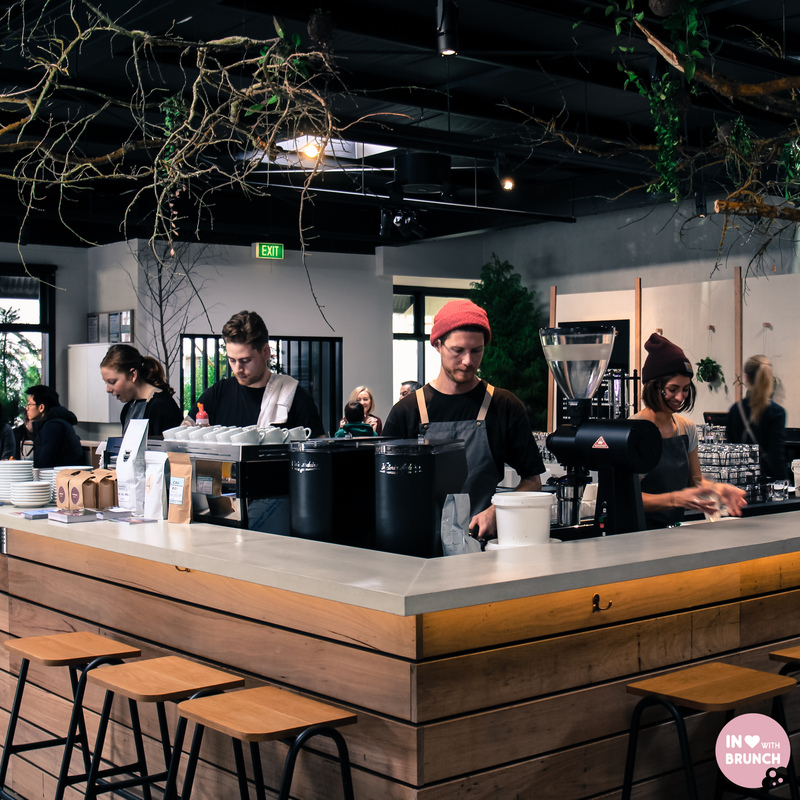 in summary, this is a really cool concept – combining the best of melbourne’s cafe scene in one spot is a true stroke of genius. sure, you should definitely still go to each of the restaurants featured to experience their full menu, character and flavour in their own right… but even if just for the novelty factor and to say you did it – broadsheet’s pop-up restaurant is worth a visit. verdict: check it out before it closes 2nd august!